Boating Lake Tahoe, Featured Lake Tahoe Boat Rentals and Activities, etc. 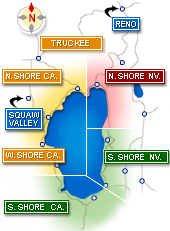 Browse all the Top Lake Tahoe Boat Services and Rentals by Region & Rating! Situated in Kings Beach, North Tahoe Watersports offers all sorts of rentals and lake tours. Check out these two north shore locations for boating on Lake Tahoe. Lake Tahoe is surrounded with pristine beaches just waiting for you to discover them. The north and south shore tend to have the more popular lake access points, but the best way to explore the lake is to rent a boat or take a tour. On the north shore, you will find these two Lake Tahoe Boating and Water sports companies extremely convenient and helpful. 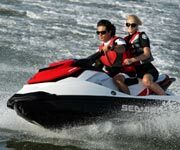 Tahoe Water Adventures - Tahoe Water Adventures can supply you with all your boating needs, and they offer jet ski rentals, boat rentals, kayak rentals and more. If you are new to any of the water sports offered, Tahoe Water Adventures has affordable lessons to get you on your way. 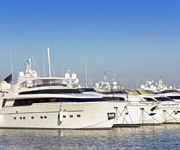 They also give discounts for multi-day boat rentals. 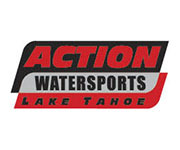 Sierra Wave Addicts - Looking forward to boating on Lake Tahoe this summer? Sierra Wave Addicts have all you need to make this summer unforgettable. Besides Lake Tahoe boat rentals, they also offer sightseeing tours and specialty VIP services. 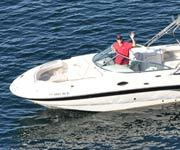 Don't forget to inquire about their special services when boating Lake Tahoe. Also, be sure to check their website for updates and special promotions. Check out Kayak Tahoe in South Lake Tahoe for the best and most affordable Lake Tahoe kayak rentals. To the left are a couple great places on the south shore for boating Lake Tahoe. With Zephyr Cove close by and Emerald Bay, South Lake Tahoe offers a premier boating experience. 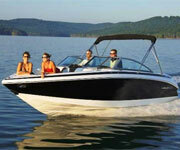 Below are a couple of south shore boat companies offering a wide range of activities. Don't let your summer in Tahoe be boring. Get out on the water and try out wakeboarding or water skiing. Boating on Lake Tahoe can get a little pricey, but many companies offer group rates or multi-day discounts, which can save you loads of cash. 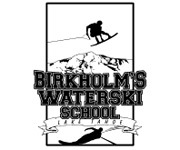 Birkholm's Water Ski School - This South Lake Tahoe company specializes in water skiing on Lake Tahoe. As a family friendly company, Birkholm's invites you to bring your kids in for their first water ski lessons. 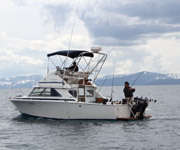 Both affordable and convenient, Birkholm's makes boating on Lake Tahoe the most fun it can be. Birkholm's, like most Tahoe boat companies, includes fuel in the rental price, so keep that in mind when you are comparing rates. 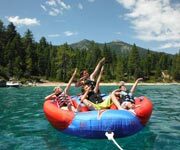 Lake Tahoe Boat Rides - Lake Tahoe Boat Rides and Water Sports is a family owned and run boat company offering a wonderful selection of services. They have affordable ski lessons and if you are wanting a romantic boating Lake Tahoe experience, the captain's wife runs a babysitting service to keep your kids busy while you enjoy a nice sunset cruise. Try out this new fad in South Lake Tahoe this summer! Welcome to Tahoe's Best guide to Boating on Beautiful Blue Lake Tahoe! Boating is one of the most popular Lake Tahoe activities, and it is easy to see why. Gorgeous expanses of crystal-clear waters are waiting to be explored via water skiing,  jet skiing, wakeboarding, paddle boarding or tubing. Never tried your hand at one of these thrilling activities before? No problem! Tahoe is the perfect place to start, and many of the Tahoe boat rental companies offer instructions to assist any skill-level. Discover Lake Tahoe at a leisurely pace by renting a kayak, or get in on the action of the booming Lake Tahoe fishing scene by renting a fishing charter or going out as a group to try and catch some of the famous rainbow trout or salmon that swim in these waters. 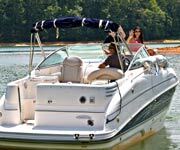 Whether you are staying in North, South, East or West Lake Tahoe, the TahoesBest.com Boating Guide is your ultimate resource to fun and safe boating Lake Tahoe. Did you know that Lake Tahoe is the highest alpine lake in the U.S.? How about laying claim to the second largest alpine lake in the world!! Lake Tahoe is a special place and the people who live and visit this mountain paradise truly appreciate its majestic  wonder. If you want to fish, there are several fantastic fishing charter captains and companies that will make your trip a personal and fantastic experience. After you have decided which area of Tahoe you wish to visit, browse the many Lake Tahoe hotels and resorts, and be sure to check our promotions page for the best and latest deals in Lake Tahoe.